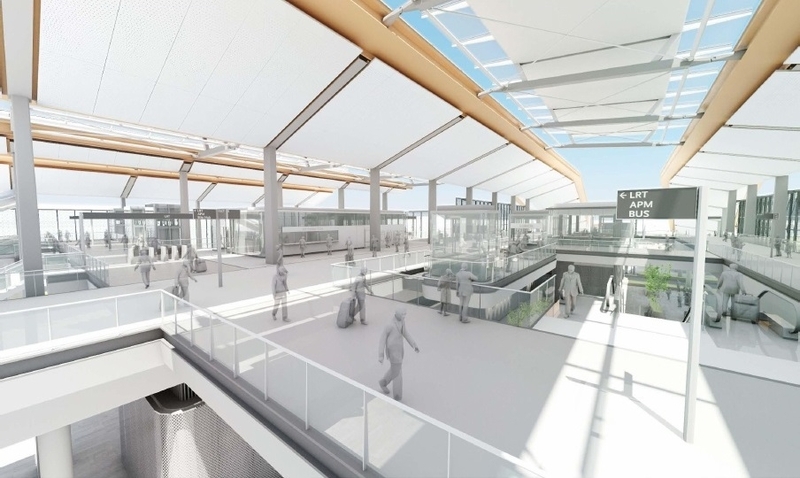 With a focus to connect regional travelers to the Los Angeles International Airport (LAX), Los Angeles Metro is planning a new transit station that will provide enhanced access from various modes of transportation, including Metro’s regional rail system to LAX. 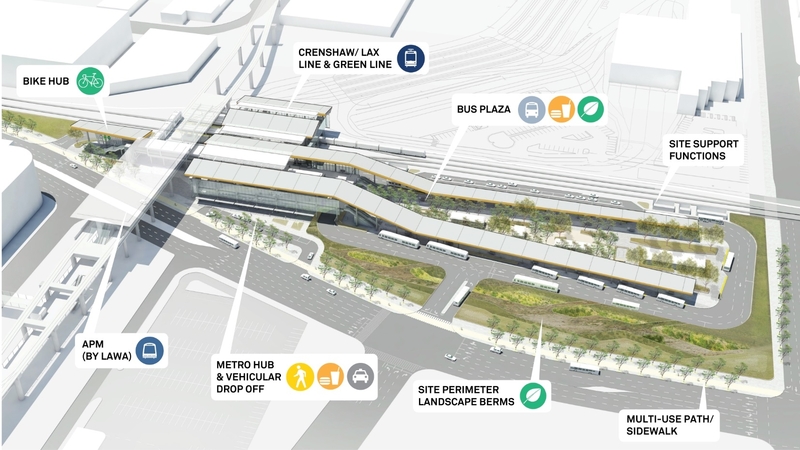 This new multi-modal transportation center will be located at Aviation Boulevard/96th Street and is being designed to accommodate the three at-grade light rail transit platforms which include LAWA’s Automated People Mover (APM), the Crenshaw/LAX rail line, and the Metro Green Line. The Los Angeles Airport Metro Connector is expected to open in 2023.